“The Istana Souvenir Series is the first of a few commemorative souvenirs which will be launched to commemorate the Istana 150th anniversary. The series features some of the unique architectural buildings at the Istana as well as its grounds. The designs of the series create a unique opportunity for Singaporeans to know more about the history and heritage of the Istana”. In commemoration of the Istana 150th anniversary, the Istana has collaborated with The Singapore Mint to produce the Istana Souvenir Series. The series was launched by President Halimah Yacob at the Chinese New Year Istana Open House on 6 February 2019. A second series featuring the flora and fauna of the Istana will be launched in July 2019. 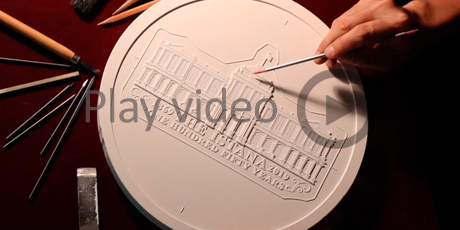 The Istana Souvenir Series introduces the five unique medallion designs featuring the architecture of the buildings within the Istana compounds and significant event highlights of the Istana. A key highlight of the series is the exclusive Istana 150th Anniversary 2oz 999 Fine Silver Proof-Like Medallion, which features the frontal view of the Istana Main Building on the obverse. The Presidential Crest is presented on the reverse. It is the only medallion in Singapore to feature this highest honor. 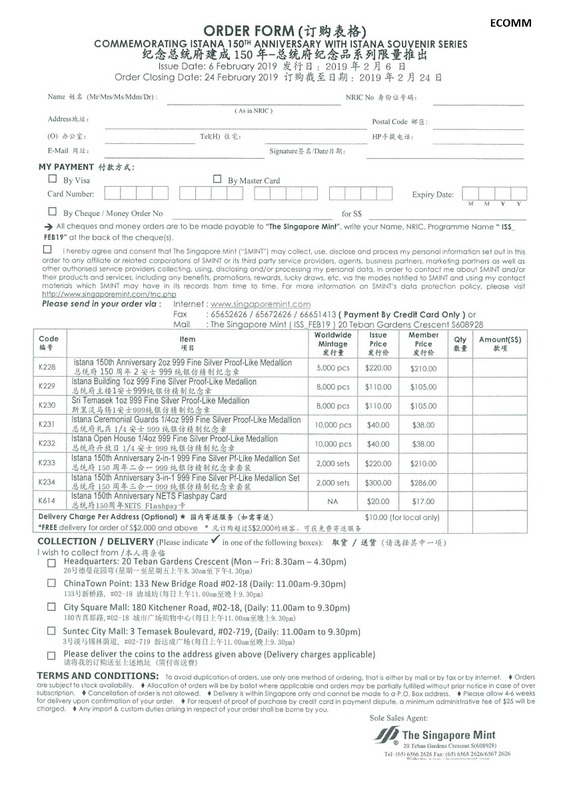 Download, print and complete the order form.